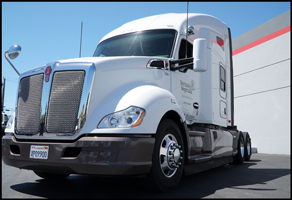 SAN LEANDRO, Calif., July 27, 2018 – Whenever a Kenworth T680 or T880 equipped with Kenworth TruckTech+® Remote Diagnostics arrives at the NorCal Kenworth – San Leandro requiring service, the dealership’s branch manager Josh Hayes and his team are ready. In many cases, they already know where to start the repairs and what parts they’ll need to resolve the issue. As a result, chances are good it will spend less time in the NorCal Kenworth dealership’s shop than it otherwise would have. “With the improved tracking of the truck, and steps in the service event and communication with the truck fleet that Kenworth TruckTech+ Service Management* can offer, we have found it can cut the time a unit is in our shop by 30 percent,” Hayes explained. “We’ve also found that among trucks with TruckTech+ Remote Diagnostics, we’re seeing about a 15 percent reduction in the number of those trucks that must be towed in. That’s because remote diagnostics allows us to monitor fault codes and remotely diagnose issues to determine if a truck can be driven into the shop or if it should be towed in. 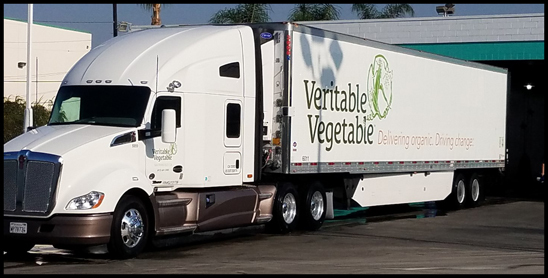 Veritable Vegetable fleet director Tom Howard appreciates the rapid response from his company’s local Kenworth dealer and from other Kenworth dealers throughout the West, made possible in part by TruckTech+. Kenworth TruckTech+ Remote Diagnostics continuously transmits vehicle diagnostics from Veritable Vegetable’s fleet of Kenworth T680s round the clock to NorCal Kenworth – San Leandro, which is a Kenworth PremierCare® Gold Certified dealership, and to other dealers in the Kenworth dealer network along the vehicles’ routes. Anytime sensors on board T680s or T880s detect issues that require servicing, Kenworth TruckTech+ Remote Diagnostics transmits email alerts with detailed information that Howard can view on his smartphone. The email alerts, which are also sent to NorCal Kenworth, include links to the PACCAR Solutions web portal. In the PACCAR Solutions Remote Diagnostics web portal, Howard can monitor the company’s trucks in real time to get up-to-date information and find the nearest Kenworth dealers relative to its location. 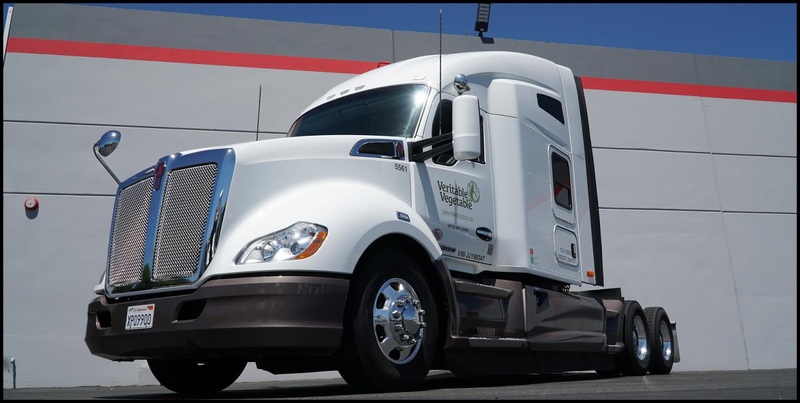 If the problem can’t wait until the truck returns to the company’s warehouse in San Francisco, particularly if the issue triggers activation of the truck engine protection system, Howard can quickly locate a nearby Kenworth dealer and direct the driver to it. The dealer’s service shop can immediately start the process of identifying potential issues and options before the truck arrives. Once the truck arrives, the Kenworth Gold Certified dealer network location can provide Howard with an estimate of time to repair within two hours. Meanwhile, Hayes or others at NorCal Kenworth can monitor the situation and assist with any necessary follow-up with rental trucks, for example, or respond to any warranty coverage questions Howard may have later. “Kenworth TruckTech+ Remote Diagnostics helps me guide drivers to a quick and often simple solution,” Howard said. 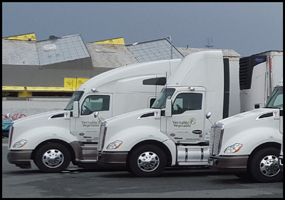 “Recently we had a situation involving a driver who runs a Kenworth T680 from San Francisco to Durango (Colorado), then to Taos, Santa Fe and Albuquerque (New Mexico), before picking up backhaul loads in Nogales (Arizona), and returning to San Francisco. Using TruckTech+ Remote Diagnostics, I was able to work with the driver to resolve the situation, which involved the truck’s radiator, and get him back on the road. “If this would have happened to a truck without TruckTech+ Remote Diagnostics, it’s likely we would have had to find a mobile technician, ask the driver to take a chance and drive it to the nearest KenworthPremierCare® Gold Certified dealer, or to play it safe, we might have had the truck towed there,” Howard added. “That’s because an unresolved radiator issue could easily lead to an engine de-rate and eventually damage the engine. “If we have to stop and have the truck towed in for servicing immediately, depending on where the incident takes place, the towing bill alone could be about $2,000,” Howard said. “But that’s only the half of it. Then it all becomes this giant shell game because we deal with tightly scheduled pickup and deliveries of high-value and highly perishable organic produce. We may have to rent a truck and have it hooked to the loaded trailer so the driver can complete those deliveries if he’s not running up against hours-of-service compliance issues.